Pacific Theatre’s founding artistic director Ron Reed clearly has a lot of time for C.S. Lewis. Earlier this year he presented Tolkien, which focused on the relationship between the two great scholar/writers. Freud’s Last Session was a fictionalized encounter between Sigmund Freud and Lewis. He also played Lewis in Shadowlands and welcomed The Great Divorce to the stage. One rainy day, the Pevensie children discover that an old wardrobe is actually a doorway to the enchanted land of Narnia. A magical re-imagining of C.S. 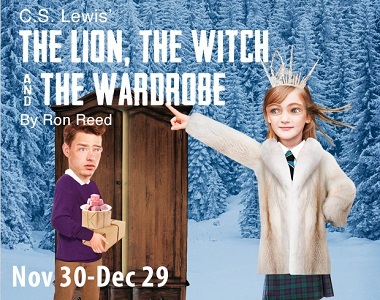 Lewis’s classic tale of hope, change and sacrifice in a world where it is always winter and never Christmas. How do we make our world magical? Sarah Rodgers, who directed last season’s The Christians at the theatre, is eager to bring her own creative vision to Narnia and its denizens. The Chapel Movement has been very successful at gathering young people and youth leaders. 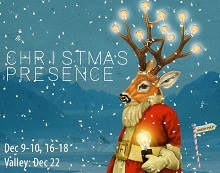 From their early meetings at South Hill (now Christ City Church) in 2011 and then John Oliver Secondary School to full-house gatherings at the Chan Centre at UBC, Alpha Courses in public schools and regular regional hub meetings, Chapel has been a key part of youth ministry in Metro Vancouver. There’s a shift happening in youth ministry in Metro Vancouver. In recent years God has been stitching together a generation of youth and leaders who are united around a common desperation to see things change. Chapel is hoping that lots of high school students – not just youth leaders – will join them. The daycare building at St. Casimir’s Parish in East Vancouver was defaced November 11. Archbishop Miller has condemned the Remembrance Day vandalizing of St. Casimir Parish’s daycare building in Vancouver. 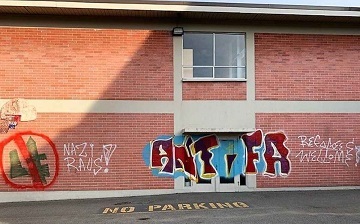 Churchgoers Sunday arrived to find “antifa” and “Nazi raus” (German for Nazis out) written on the side of the building at East 27th Avenue and Inverness Street. In a statement, the Archbishop said the vandalism at the Polish parish “is a disturbing example of hatred, and for whatever reason – political or religious – it is unacceptable in a country that enshrines freedom of speech and religion in its Charter of Rights. Global News, CTV News and The Georgia Straight also covered the vandalism. Markku Kostamo is best known for his work guiding A Rocha Canada (which he co-founded with his wife Leah in 2001). But while he has been on medical leave from leadership over the past year or so, he has re-engaged with Nepal, where he grew up. 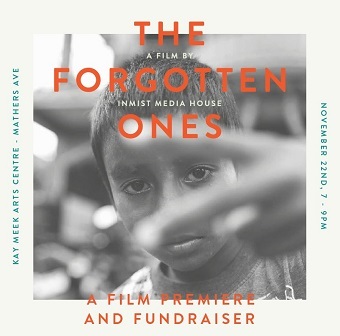 He visited Himalayan Life projects there earlier this fall and is now helping to promote The Forgotten Ones, a film premiere and fundraiser this evening (November 22) at Kay Meek Theatre in West Vancouver. Under the direction of Daniel Burgi, founder and CEO of Himalayan Life, we have been rescuing, nurturing and protecting marginalized children in the Himalayas for over 20 years. Having encountered children who have been abandoned, abused and neglected in Nepal and India, we are intervening on their behalf to ensure they have access to food, education, shelter and activities such as hockey and mountain biking. Beyond meeting the children’s immediate needs, we have developed career apprenticeship programs to help the children develop vocational skills. We run homes for abandoned children, slave children and street children. Our school in the heart of the earthquake ravaged area in the northeast of Nepal provides a fresh start for families who have lost so much in the 2015 earthquakes. Along with the film there will be a Q&A with Burgi and music featuring sitar musician Prosad.